Facebook page administrators will soon have access to two new tools for publishing videos. The new video-upload tools give page admins more customized distribution options for their videos, as well as access to new features, while the video library gives them more control over their video assets. 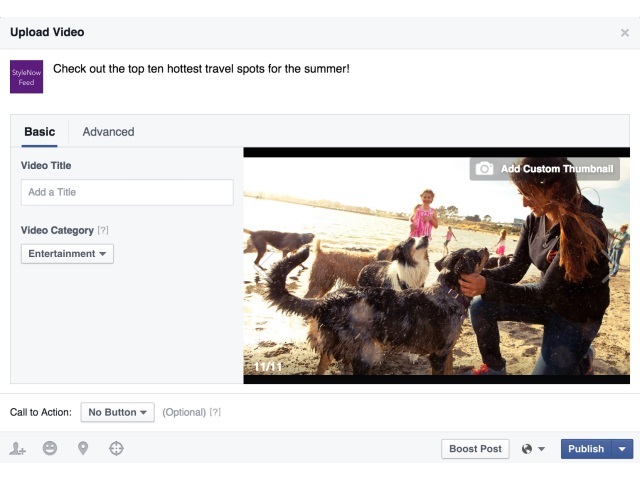 With today’s update, we’ve redesigned the upload process and added several new features currently available in the Facebook video application-programming interface, which we announced at F8. We’ve also introduced a suite of new distribution options, like secret videos and the ability to prohibit embeds on third-party sites. Manage distribution options for videos, including prohibiting third-party embeds, publishing to News Feed and more. Page admins: What are your initial thoughts?